How to change Your Facebook Name With just a single Word!!! First install Hola Better Internet Add on. Then open it, and Select Country Indonesia From Browse Form. Log in to your Facebook. A screenshot is given below for your better understand. 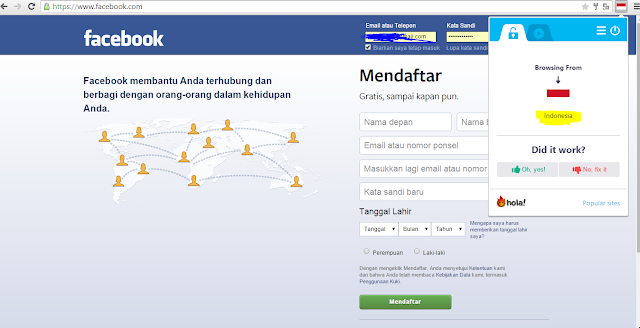 Now go to your Facebook Setting And change language to Bahasa Indonesia and save change. like this pic. Now beside name click edit and remove your second name/surname. Ans save as I did. see the picture below. See This ID is now belong with only one word. That's it. And you are done. Hope you can do it. Still If you have any problem just comment below I'll help you as soon as possible.